How to approach stock trading in a new way. How to use market microstructure for trading decisions. How to find hidden pattern and trade signals. dxFeed Bookmap provides its users a clear and transparent view of the market, empowering them to make better decisions with new information. 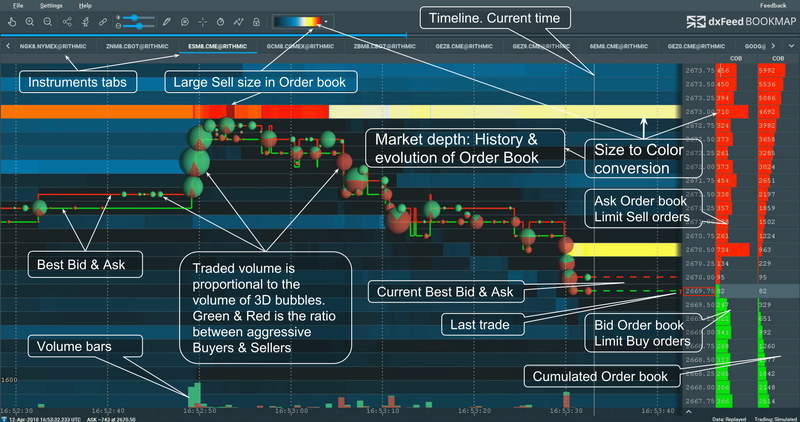 At the core of dxFeed Bookmap is the Order-Book Heat-Map. 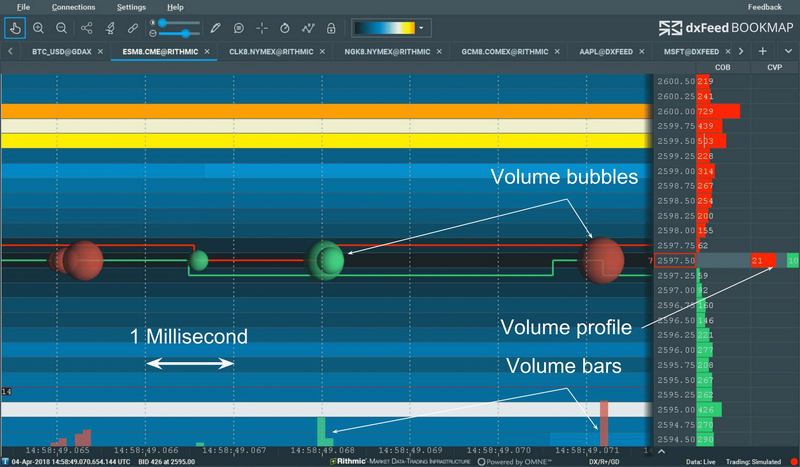 This powerful tool provides the user a clear visualization of the dynamics of market depth and the possibility to monitor its evolution over time. dxFeed Bookmap provides market data to individual traders at much lower prices only comparable to retail data vendors. 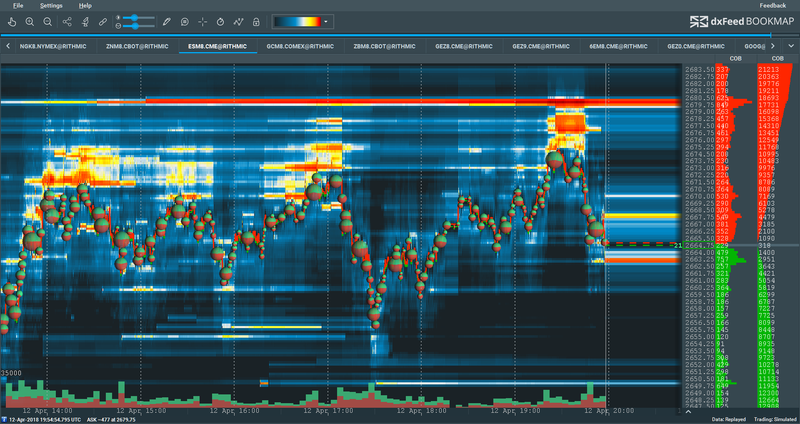 The cutting edge visualization and data analysis tools offered by dxFeed Bookmap provide a significant advantage to the individual and professional trader in the pursuit of exploring and finding trading opportunities. dxFeed Bookmap is the fastest data source for US stocks over the Internet. The data comes from a co-location data center, directly connected with stock exchanges. Wherever you may be in the world, you will get the information faster than anyone else at that location. Due to the large number of liquid stocks, there are a relatively low number of major or dominant players. You can study their behavior, learn how to interpret them, and find trading opportunity when they appear. You will become a highly specialized trader! This feature allows traders to observe activities that occur not only at the first 10-20 price levels (as provided by most exchanges), but anywhere in the order book. This enables you to develop your trading strategy by identifying significant liquidity concentrations at certain price levels. In the past, this kind of information was never available for individual traders. Unlike with futures, there are hundreds and thousands of liquid instruments. Large trading companies may have different trading priorities than a day trader. 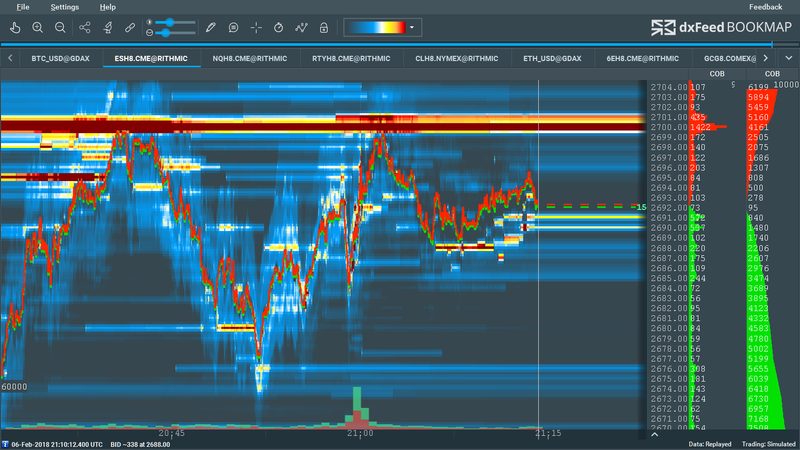 dxFeed Bookmap benefit the smaller trader by helping observe a long-term execution algo as soon as it starts to act - or for instance detect iceberg orders. In addition, it can also help identify when a market maker holds significantly more ‘Buy orders’ than ‘Sell orders’ and vice versa. 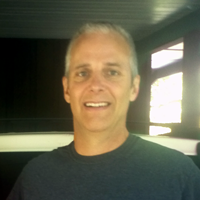 Large traders frequently hide their presence, with techniques such as breaking large orders into smaller trades. This involves varying the timing of the order placement and slightly varying prices and sizes. Bookmap’s Filter-by-price feature allows you to uncover these activities. ** "Individual trader" means all other persons who do not meet the definition of Professional trader. Are you looking for a custom solution or would like to use our data feed for your project? Contact us for more information. All rights reserved © 2018 Devexperts GmbH. All rights reserved © 2018 VeloxPro ltd.
Cboe and EDGX are trademarks of Cboe Exchange, Inc., registered in the U.S. and other countries.